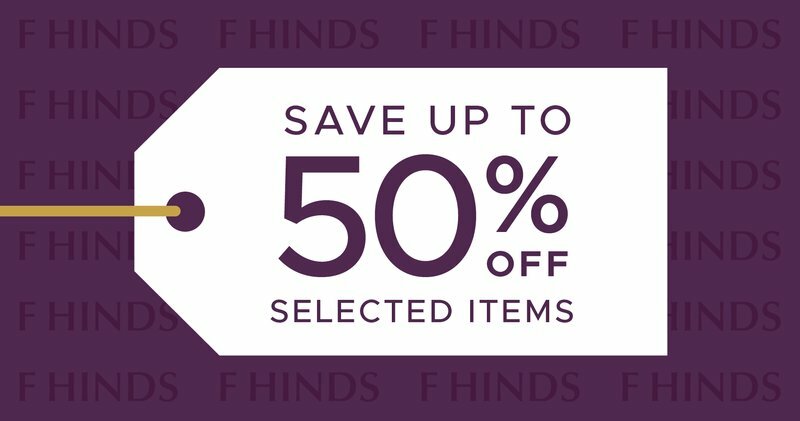 Spice up spring outfits with some gorgeous jewellery and watches – jewellers F.Hinds are offering up to 50% off selected diamonds, jewellery, watches and gifts in their Spring Savers Promotion. On a diet, so no chocolate? Easter treats at jewellers F. Hinds last so much longer.